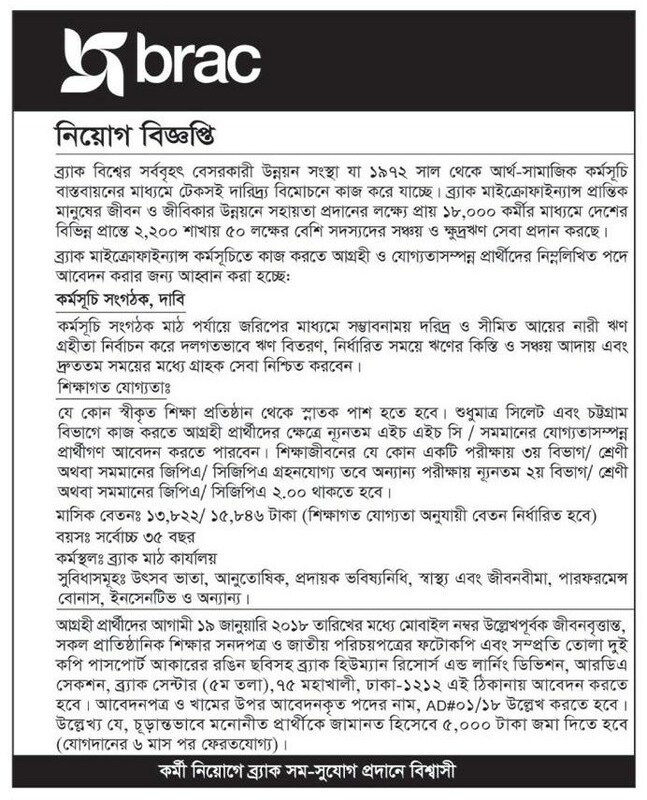 Brac Job Circular published on 05 January, 2018. Circular source: website and Bangladesh Pratidin on 05 January, 2018. It is a full time job and salary range 13000 - 16000/- taka. Age should be below than 35 years. See details on the circular below and Brac NGO jobs. Good luck for new job.